Even though most of us know better, we tend to wear our outdated prescription far longer than we probably should. 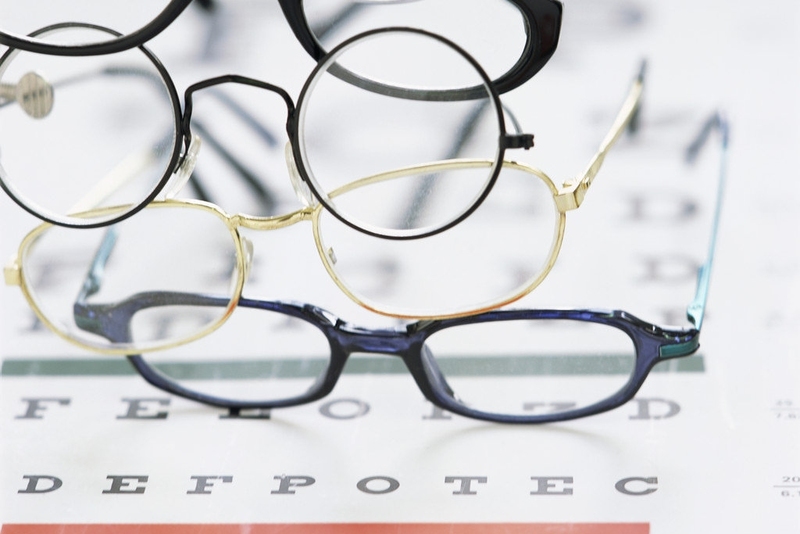 If you were to visit the eye doctor more frequently, as you’ve probably heard us recommend a time or two, you’d likely see that over the years your prescription needs to be adjusted to ensure you’re enjoying the best vision possible. Both children and adults may see their eyeglass/contact lens prescription changing over time, but for different reasons. Children’s eyes are literally still growing before reaching their full-grown adult size sometime after puberty. As children’s eyes develop, their vision will change as well. Children often tend towards farsightedness when they’re young, and as their eyes and their bodies grow, their near vision tends to improve. Adults over 40 will naturally see a slow deterioration in their vision as our eyes become less elastic making it more difficult for your eyes to change shape as they need to in order see properly, especially at things close-up. In either case, while we get used to and often compensate for the outdated prescription we’ve been wearing for many years, there’s a good chance a new, updated prescription customized to your eyes needs today, would really do wonders for your vision. This New Prescription Is WEIRD! New prescription in hand; stylish new frames selected; brand spanking new eyeglasses/contact lenses complete and custom fit by your optician, and suddenly the world looks dramatically different than it did just a few minutes ago through your tired old prescription with the scratched up lenses and the comfort contours of a well broken-in frame. Sure, things are a little clearer now, but why do my eyes kind of hurt!? Just like your eyes were used to your outdated prescription, your new prescription will take some getting used to. Initially you may feel like your vision is a little blurry or strained; this is not however an indication that your eye doctor gave you the wrong prescription. Your new prescription is most likely the right one for your eyes, it’s just that the muscles around your eye that help your eyes focus have to work a little harder at first as they adjust to the new prescription. Reading, especially reading on a computer screen or tablet with the blue light behind it can increase that initial strain as your new prescription is actually taking in all that stimulus much better than your outdated prescription was. Rule Number One: if your eyes don’t fully adjust and become comfortable with your new prescription in a week or two, make an appointment to visit your eye doctor to have everything checked out. That said, it can take a week or two for your eyes to fully adjust, even to relatively small changes in your prescription, one way or the other. Any eyestrain, dizziness or blurred vision you might experience with your new prescription will ultimately go away, and the period of adjustment won’t do anything to harm your eyes. The adjustment period is totally normal! Make sure you’re reading and performing whatever tasks you need to in good quality light so your eyes don’t have to work even harder adjusting to low and poor light as well as a new prescription. Activities that may put considerable strain on your eyes or require a lot of focus like binge-watching all 10 seasons of your favorite 90s sitcom, or driving through the night to beat the commuter traffic, are probably not the best choices for those first few days adjusting to your new prescription. It may be annoying at first, but surrendering to what you already know and wearing your old prescription while your new one sits on the kitchen table will only make the adjustment more difficult and take longer. Give your eyes a couple weeks to get used to your new prescription and everything will become clearer. Better Prescriptions from Berlin Optical Expressions!